After a January full of 5:30am Sunday morning alarms for marathons, I looked forward to February being a down month in racing. NBA All-Star Weekend was the only thing standing between me, Mardi Gras and guilt free consumption of Popeye's. One thing I didn't consider when making these plans was the addition of the 504k to the local race calendar this past Saturday morning. Several friends decided to participate, including one who was traveling to the Crescent City for All-Star festivities. I knew I had to get in on the action, especially since the race benefitted the Youth Run NOLA initiative. Upon waking up on race morning, I was greeted with text messages informing me that two of three friends were bailing on the run. One suffered an injury the day before the race, while the other had too much All-Star fun until 4:30am. I should have expected the latter. Not having any other races in the Marigny neighborhood had me leery of what to expect. Parking was easy not far from the start / finish, and I was excited about running in new surroundings. After standing in line for number pickup (when early pickup is offered, always take advantage), it was fun to watch the pre-teen participants from Youth Run NOLA get pumped for their race. 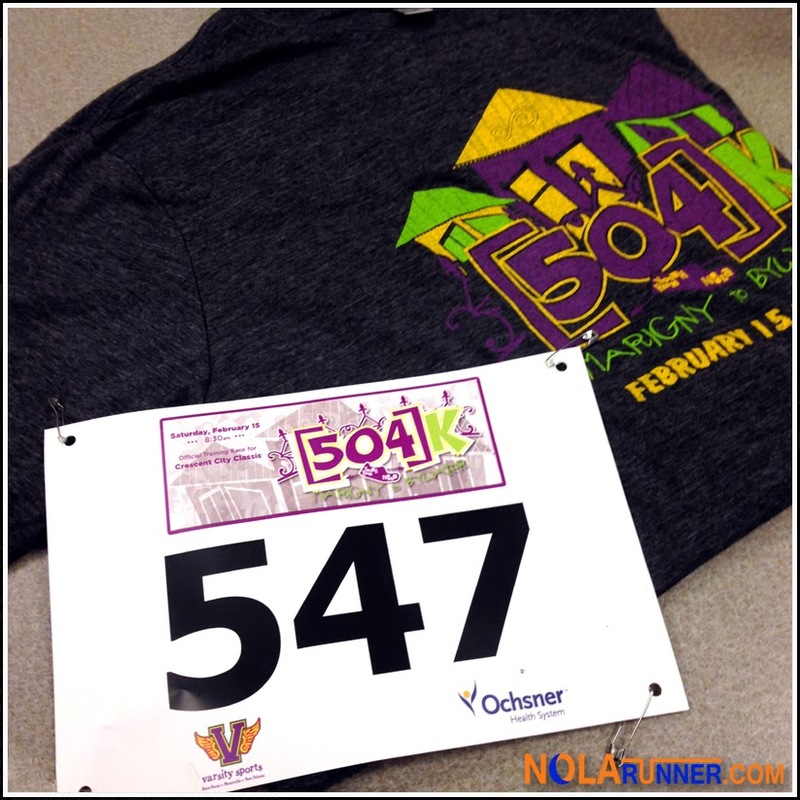 The route for the 504k made a figure-eight through the Marigny and Bywater, starting and finishing within yards of the Mississippi River. The first half mile covered the pothole ridden streets that New Orleans is known for, but the majority of the race was run on a very smooth and flat course. During the second half of the race, participants can see the leaders on their way back to the finish and then cheer on runners behind them still on-course. The post-race party featured a great setup with a stage hosting the Stooges Brass Band plus a performance by a local school's marching band. What's great about this race is the community effort that went in to making it a success. Nearly a thousand participants in its inaugural year shows how important the Youth Run NOLA initiative is to the New Orleans running community. Every local running group and organization was on-hand to volunteer in some way, including representatives from the New Orleans Track Club, Crescent City Classic, and Varsity Sports who helped plan the event. The kids that were impacted during the 504k go beyond just those who participated. 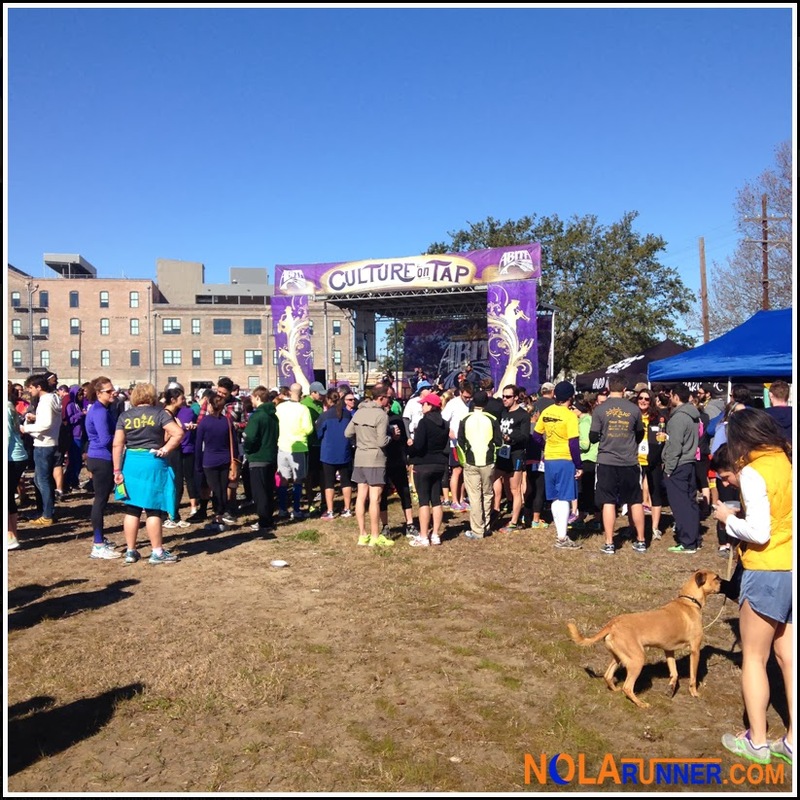 The organization touches youth across the metro New Orleans area throughout the year, and the running community's support is continually needed. To find out more info on the organization, check them out HERE. I am so upset that I wasn't able to run on Saturday, mostly because I was really excited to be a part of this YRNOLA event, but also to see you and many other familiar faces out there on the course. While there's unquestionably a great amount of appeal for local runners in this race, I wonder if the slightly different course through the Marigny and Bywater could end up being an attraction. I thought that choice of route was pretty cool. Thanks for the great recap! Thanks Katherine. 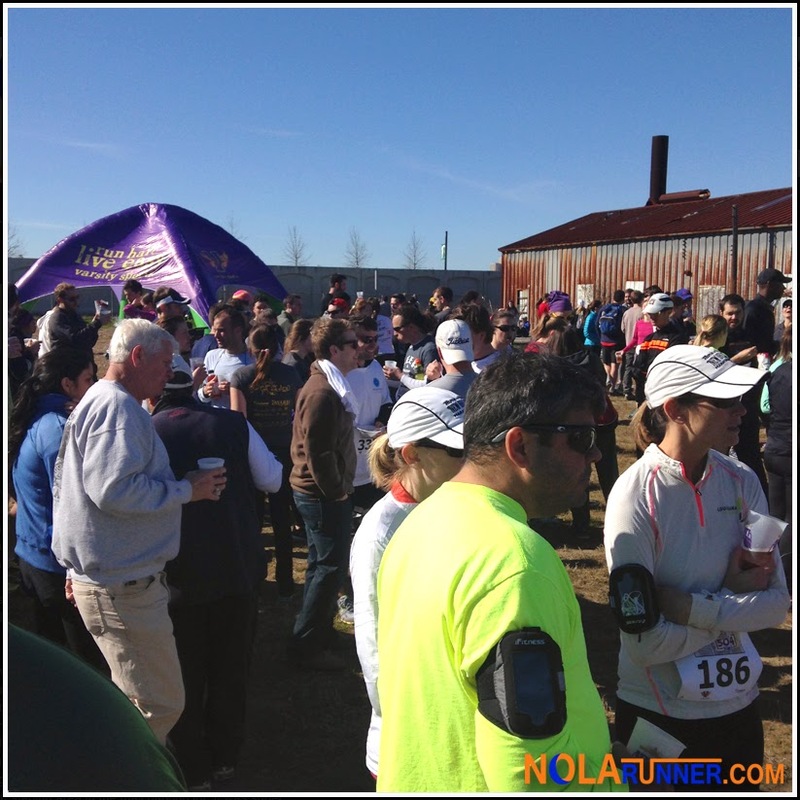 I will say that the Marigny / Bywater route did add some unique charm to the course. Starting and finishing near Dr. Bob's art studio, passing the Sound Café, and Elizabeth's was really cool and interesting to see outside the confines of a vehicle.